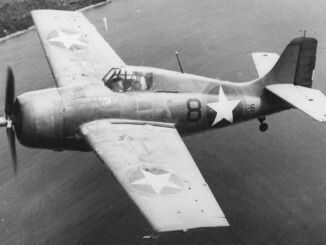 The Grumman J2F had its origins in the earlier Grumman JF, which had been put forward as one of the first aircraft in the new “utility” type designation. 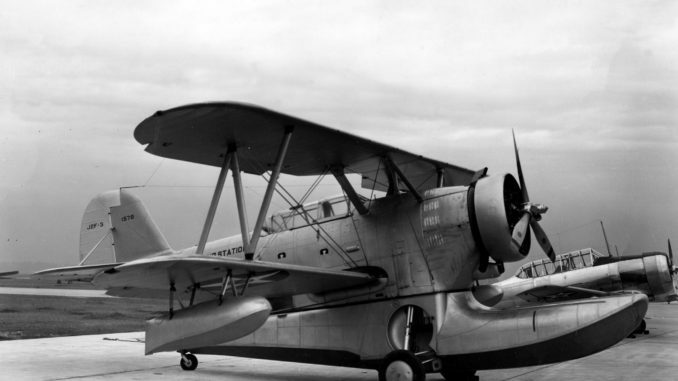 Based on a design by the engineer Grover Loening, the JF featured an innovative deep main float which provided space for two passengers as well as the crew, and hand-cranked landing gear that meant it could operate from land or sea – making it truly amphibious. However, the design could be improved upon and when changes were introduced in a new model, this was designated the J2F. The new J2F, with more features deserved of the “utility” designation, featured a more powerful 750hp R-1820 engine, and a tail-hook that allowed the aircraft to operate from carriers. To add more versatility to the type, provision for a stretcher was added in hull, as well as fittings for smoke generators or target towing gear. Subsequent models featured progressively more powerful engines. Throughout the war J2Fs were scattered far and wide. Many were assigned to land-based units as squadron ‘hacks’, used for any job that combat aircraft couldn’t handle. J2Fs were also called upon to fly search and anti-submarine missions, being fitted with wing racks capable of carrying bombs or depth charges. They were also called upon to fly search and rescue missions, their amphibious character making them ideal for picking up downed aviators – most notably at Guadalcanal, where several pilots of the Cactus Air Force owed their survival to the dependable Duck. Perhaps the most famous of the Ducks was the J2F named “Candy Clipper” that flew as part of the Bamboo Fleet during the battle for Bataan. This aircraft had been grounded until a new engine was sourced from another sunken J2F, but once repaired it flew many supply fights, delivering medical supplies and food as well as confectionary – hence the name. J2Fs provided superb service throughout the war and beyond. 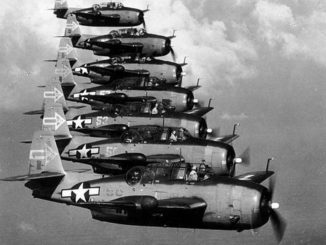 The last examples were flying well into the 1950s, including several machines that had been purchased but the US Air Force.